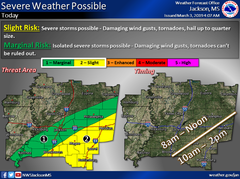 The updated forecast from the National Weather service has removed Washington County from the threat of Severe Weather. 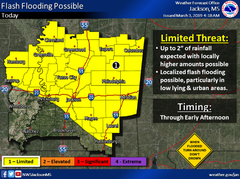 However, the threat for Flash Flooding remains with up to 2" of rainfall forecasted. Windy Sunday night with below freezing temps at night forecasted during the first half of the coming week.